It is a remarkable time to be part of the Shanghai Jiao Tong University family. SJTU has never been stronger since its 1896 inception. Overcoming numerous obstacles through out its history and leading the reform of higher education, SJTU has continued to be one of the most preeminent universities in China and envisioned to become one of the first class universities in the world. 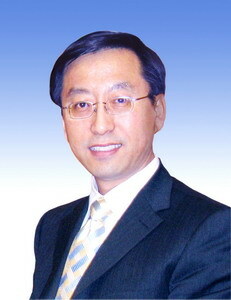 I’m privileged to be the president of SJTU and chairman of the SJTU Foundation of America. Even though I’m among the newest members of the SJTU family, I’ve been deeply touched by the rich heritage of SJTU and its values. Generations of our alumni have succeeded in various professions and pursuits. We are all grateful for our SJTU education and experience that have shaped our lives, influenced our careers, and enhanced our values. Giving back is a great tradition of the SJTU family, as we have learned since our first day at SJTU to “think of the source when drinking water”. The SJTU Foundation of America serves as a SJTU platform in the US, and a bridge connecting the alumni and friends in the US with SJTU. Your tax deductible contributions through SJTUFA will not only support the SJTU students, faculty, and programs, but also demonstrate a vote of confidence in SJTU. The number of individuals who participate in giving to SJTU will be a significant factor in influencing corporate and foundation grant support, which has grown increasingly more important for SJTU operation and development. Wallace H. Coulter Foundation of Florida has pledged a $2.5 million USD challenge grant to encourage the alumni and friends to contribute to SJTU. Your contribution will be matched dollar to dollar by WHCF. Your gift can be designated to a specific department or program that has affected your life or career. It can also be earmarked for the Annual Fund, which is extremely valuable because it allows SJTU to apply the funding to where needs most, such as recruiting top talent from the US and funding educational exchange programs. We share the responsibilities for the future of SJTU, which promises to be even more brilliant than its remarkable past. Please join me in helping SJTU advance boldly forward. Thank you for your continuous support to SJTU.